Jack Lombardo pushes past Nokomis' Joshua Perry in the first half of their Class A North Quarterfinal game Saturday in Augusta. 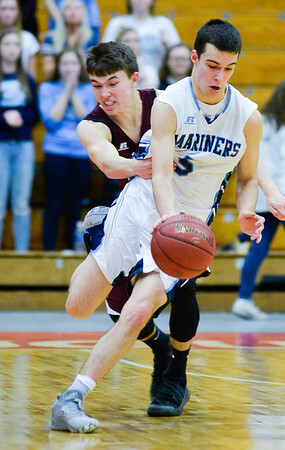 Oceanside's Michael Norton, Jr., attempts to slap the ball away from Joshua Smestad in the second quarter of their Class A North Quarterfinal Saturday in Augusta. Nokomis' Joshua Perry fouls Oceanside's Nate Raye during the fourth quarter of the Class A North Quarterfinal Saturday in Augusta. The Mariners over powered the Warriors 53-49. 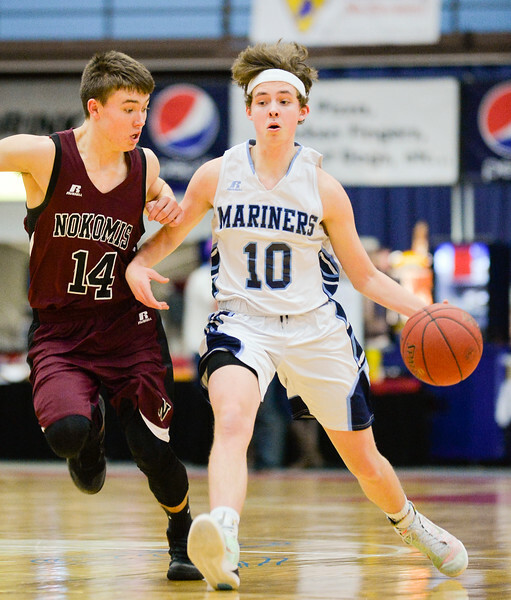 Joshua Smestad from Nokomis nabs the rebound past Oceanside's Cooper Wirkala, left, and Jack Lombardo in the first half of their Class A North Quarterfinal Saturday in Augusta. 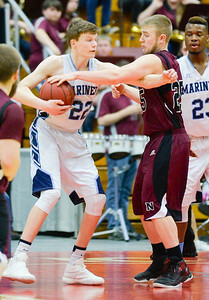 Oceanside's Cooper Wirkala and Nokomis' Brad Allen tussle over a rebound late in the Class A North Quarterfinal Saturday in Augusta. 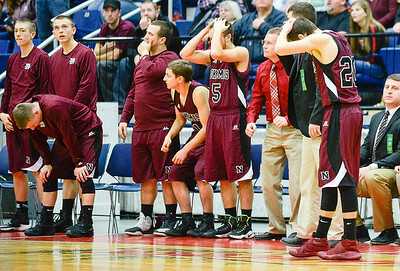 Nokomis bench reacts to foul late in the Class A North Quarterfinal against Oceanside Saturday in Augusta. 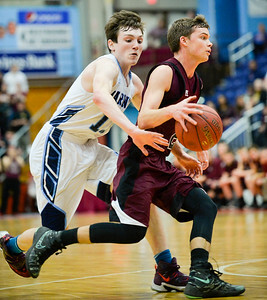 The game was close each quarter, but Oceanside prevailed 53-49. 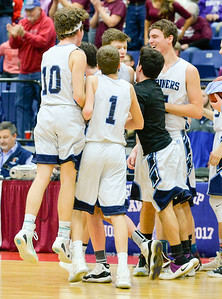 Oceanside celebrates their 53-49 win over Nokomis Saturday in Augusta.